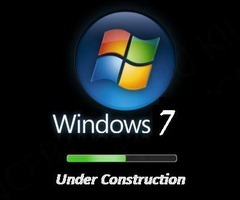 Oo, looks like Apple might make some snide jabs at Windows 7 in its next advertising campaign. Well so macnn suggests in this article. They say the Apple campaign will centre on difficulties upgrading from Windows XP to Windows 7 – highlighting the fact that XP is still the OS still used by many PC owners. Convinced? Would upgrade difficulties tip you over to the Mac side? Windows’ ad campaign for its new OS centres around having Windows 7 launch parties. Applicants for the Windows 7 launch party pack were carefully vetted to avoid Apple-heads or sarcastic Linux users from holding satirical Win 7 parties, a more amusing but less useful critique of the new Windows launch. Related: Remember 1984? Remember the original Mac advert?